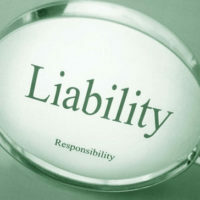 When you think of product liability, what comes to mind? Exploding cell phones? Toys with dangerous parts? Vehicles with safety deficiencies? These issues, and many more, have been the subjects of legal conflict for decades. Some people scoff at liability lawsuits, considering such pursuits selfish nuisance suits that clog the court dockets and cost consumers money in the end. But what options do you, as a consumer, have when you are exposed to dangerous or defective products? When you experience a product malfunction or design imperfection that results in personal injury, only an experienced, ethical personal injury attorney can help you in obtaining justice. There are multi-million dollar corporations out there who expose the public to danger every day. Whether wittingly or not, these corporations are responsible for injuries and deaths, and must be held to account for the products they sell. What are some recent and/or current product liability cases impacting Floridians? Doyle v. Volkswagenwerk Aktiengesellschaft: After suffering a serious injury when struck from behind in her Volkswagen Jetta, Victoria Doyle sued Volkswagen, claiming the absence of a lap belt caused her injuries. Volkswagen countered that the Jetta design met federal safety standards, nullifying the suit. The trial court agreed with Volkswagen, but the Supreme Court reversed. The question now before the court is whether or not a manufacturer can be held to safety standards that exceed the National Automobile Safety Act. Gilman V. Johnson & Johnson: After dying from ovarian cancer, the family for Jacqueline Fox was awarded $72 million in damages in a case against Johnson & Johnson, based on evidence linking her death to the use of baby powder and Shower to Shower. Hampton v. Pneumo Abex, Ford Motor Company: After alleged exposure to asbestos filled brake linings, Gary Hampton, a mechanic, sued Ford. While the trial was pending, the parties reached a confidential settlement. Pneumo Abex went to trial with the case, and ended up paying just short of $37 million. Ultimately, the jury found that Pneumo Abex was negligent and strictly liable for the health impacts of the plaintiff. Sturm, ruger & Co., Inc. v. Day: When Michael J. Day was unloading his Magnum single action revolver, he accidentally dropped it. When he attempted to grab for the gun, it sent off, shooting Day in the leg. Day sued, and was awarded close to $3 million in compensatory and punitive damages, the jury citing defects in the weapon and in manufacturing. Blitz gas cans: After roughly 50 lawsuits involving Blitz gas cans exploding and causing serious burn injuries, Blitz and Walmart agreed to create a $161 million fund in order to settle all cases involving the defective product. Clearly, manufacturing and design mistakes happen all the time. If you have been injured due to an imperfect product, do you want some accountability? Do you need help dealing with the medical costs associated with your injury? If your answer is yes to any of these questions, the attorneys at the Law Offices of Robert W. Elton can help. Contact us in Daytona and Ormond Beach for your free, confidential consultation.